Increasing evidence indicates that chemotherapy results in long-term effects on cognitive dysfunction in some cancer survivors. While many studies have established the domains of cognition and corresponding regions in the brain most affected, little is revealed about the potential molecular mechanisms that mediate these adverse changes after treatment. The effects of chemotherapy on the brain are likely attributed to various mechanisms, including oxidative stress and immune dysregulation, features that are also reminiscent of cognitive aging. We have investigated the cognitive effects of a cocktail composed of doxorubicin and cyclophosphamide (AC-chemo) in a surgical ovariectomized rodent model. In this study, we address whether the levels of pro-inflammatory cytokines and oxidative stress-responsive gene markers are altered in the CNS of rats treated with systemic AC-chemo. 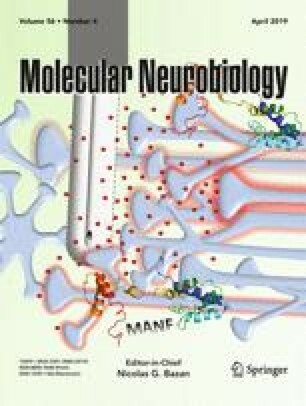 We further evaluated the levels of nucleic acids modified by oxidative stress in the hippocampus using both immunohistochemical and Northern blotting techniques with a monoclonal antibody against 8-hydroxyguanosine (8-OHG) and 8-OHdG base lesions. We demonstrate that ERK 1/2 and JNK/SAPK signaling activities are elevated in the hippocampus of AC-chemo rats. The levels of pro-inflammatory, oxidative stress-responsive, and RNA/DNA damage markers were also higher in drug-injected animals relative to saline controls. The results indicate that the effects of AC chemotherapy are associated with oxidative damage and a global stress response in the hippocampus. These alterations in the molecular signature of the brain may underlie the processes that contribute to cognitive impairment after treatment. The authors wish to thank funding from the NIH/NCI grant U54CA132378 and U54 CA137788 to TA, KSR, and KH; NIH/RISEGM08168 grant to CB; and NIH/RCMI grant 5G12MD007603 to KH and KSR.